Employment Law Developments and What they Mean for Your Agency - Auburn - Event - New York State Industries for the Disabled, Inc. 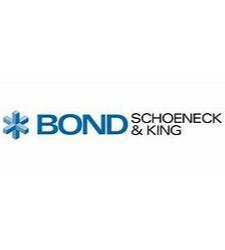 Bond Shoeneck and King is a full-service law firm counseling individuals, companies, not-for-profits and public sector entities in a wide spectrum of practice areas. Service to our clients is our top priority, and we work with them to build long-term relationships. We understand our clients’ needs, and being part of a 250-lawyer firm with offices across the State, we can provide our clients the depth and breadth of experience and services required to meet and exceed our clients’ objectives. We have the knowledge and savvy to craft creative, yet practical solutions. We also have the spirit and tenacity to be ardent advocates. The expertise of our Albany attorneys has consistently been recognized by The Best Lawyers in America®, Super Lawyers® and Martindale-Hubbell®. Human resource professionals, supervisors, and other staff who need updates on workplace laws and regulations. Two years into the Trump administration, significant labor and employment law developments continue at both the federal and state level. This program will get you caught up on these developments and provide practical guidance on what they mean for your organization.